Excess nitrogen (N) in freshwater systems, estuaries, and coastal areas has well-documented deleterious effects on ecosystems. Ecological engineering practices (EEPs) may be effective at decreasing nonpoint source N leaching to surface and groundwater. However, few studies have synthesized current knowledge about the functioning principles, performance, and cost of common EEPs used to mitigate N pollution at the watershed scale. Our review describes seven EEPs known to decrease N to help watershed managers select the most effective techniques from among the following approaches: advanced-treatment septic systems, low-impact development (LID) structures, permeable reactive barriers, treatment wetlands, riparian buffers, artificial lakes and reservoirs, and stream restoration. Our results show a broad range of N-removal effectiveness but suggest that all techniques could be optimized for N removal by promoting and sustaining conditions conducive to biological transformations (e.g., denitrification). Generally, N-removal efficiency is particularly affected by hydraulic residence time, organic carbon availability, and establishment of anaerobic conditions. There remains a critical need for systematic empirical studies documenting N-removal efficiency among EEPs and potential environmental and economic tradeoffs associated with the widespread use of these techniques. Under current trajectories of N inputs, land use, and climate change, ecological engineering alone may be insufficient to manage N in many watersheds, suggesting that N-pollution source prevention remains a critical need. Improved understanding of N-removal effectiveness and modeling efforts will be critical in building decision support tools to help guide the selection and application of best EEPs for N management. 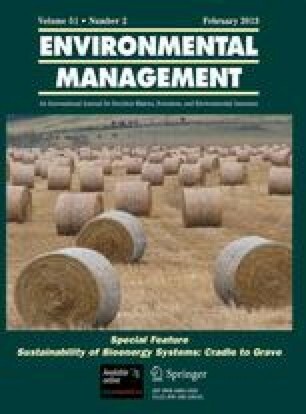 The authors thank George Loomis, research and extension soil scientist and director of the New England Onsite Wastewater Training Center, for sharing his expertise in advanced-treatment septic systems and Kathy Tynsky for creating the figures. This paper is a product of a workshop, Managing Denitrification in Human Dominated Landscapes,” held May 12–14, 2009, at the University of Rhode Island Bay Campus, Narragansett, RI, USA, with support from the Denitrification Research Coordination Network of the National Science Foundation (award DEB0443439) and the United States Department of Agriculture CSREES Northeast States. Stream restoration research was funded by Maryland Sea Grant Awards SA7528085-U, NA05OAR4171042, and R/WS-2, and by the United States Environmental Protection Agency through its Office of Research and Development under cooperative agreement CR829676. The research described in this article has not been subjected to USEPA review and therefore does not necessarily reflect the views of any of the funding agencies, and no official endorsement should be inferred.